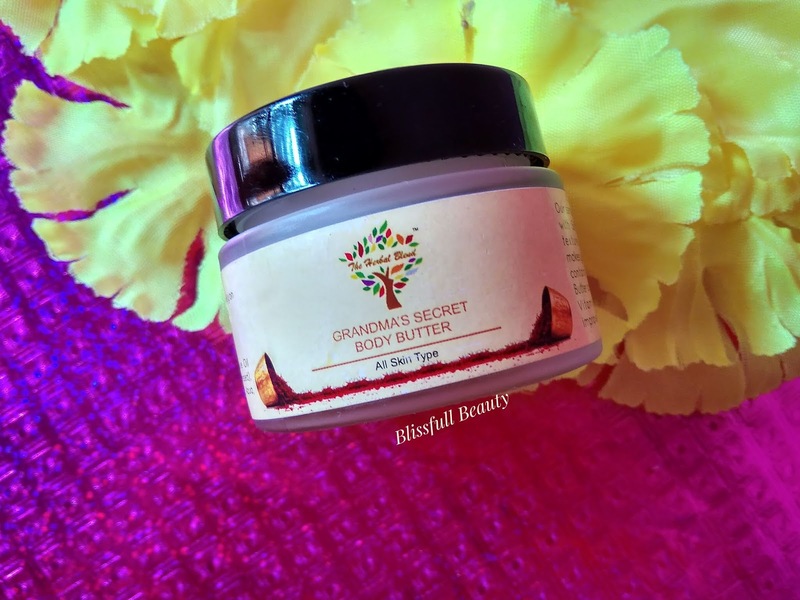 Hello everyone, Today I am sharing a new organic body butter which name is The Herbal Blend Body Butter. In winter due to lack of moist on the skin, our body becomes dry and body butter is the lifesaver at that time. In today's market, many body butters loaded in chemicals but today I am sharing one of organic and handmade body butter which is chemical free and works pretty well. So let's get into the post. The Herbal Blend Body Butter is enriched with Saffron that improves skin texture and sandalwood that makes your skin soft and smooth.It contains super moisturizing shea butter and mango butter, nourishing vitamin E and olive oil that improves skin health. 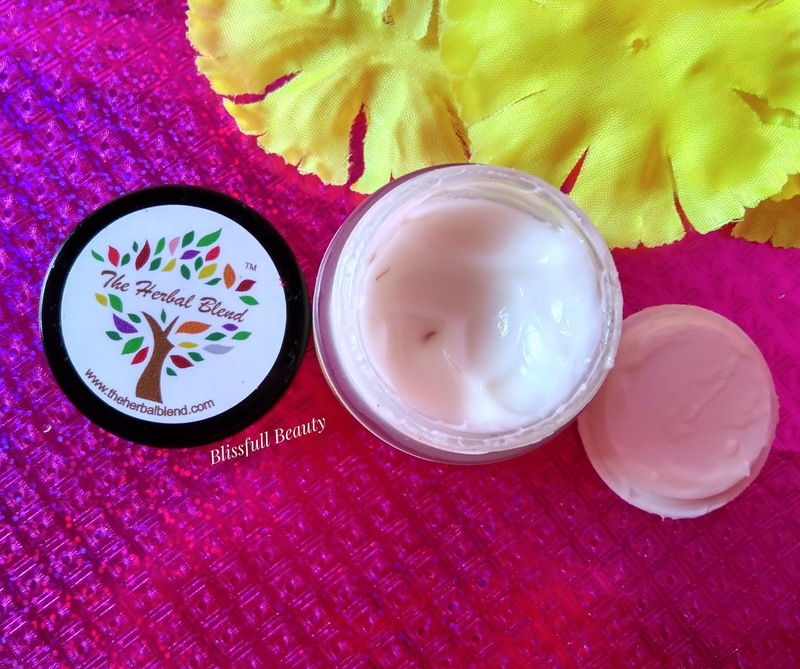 The Herbal Blend Body Butter comes with a glass jar secured with a white color lid and black cap. Top of the cap mentioned the name of the brand and all information are mentioned the side of the glass jar. As it has glass packaging does not travel friendly. 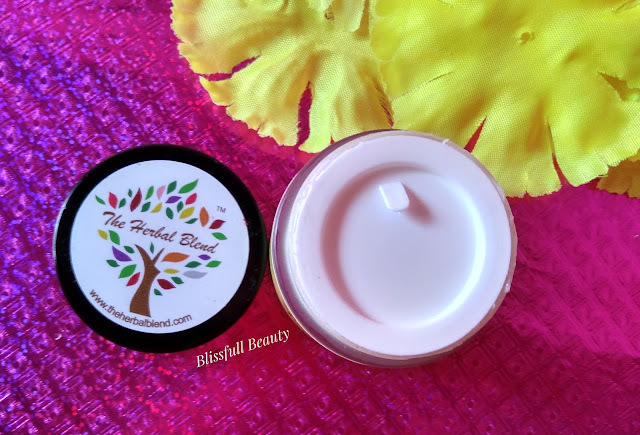 The Herbal Blend Body Butter is a milky white color and heavy creamy consistency which takes time to blend on the skin. Inside the cream, you can see some saffron strand in it. The fragrance is mild and ayurvedic fragrance. Spanish Saffron, Sandalwood oil, Olive oil,(Cold pressed), Almond oil(Cold pressed), shea butter, Mango butter, Vitamin E, Aqua, Vitamin B5, Glycerin. Price: Rs 500/- for 50gm. For best results, use after a bath. Apply gently on the body to moisturize and nourish your skin. ➡Enriched with saffron and many natural ingredients. ➡Suitable for all skin types. ➡Makes skin soft and smooth. ➡As heavy creamy consistency, it takes time to blend on the skin. As we know in winter our skin becomes dry and I already tried many body butters. The body butter is most essential in winter. 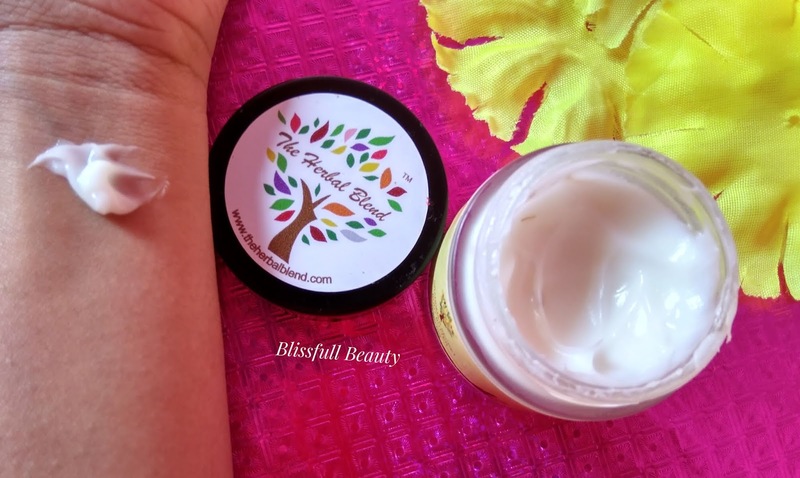 The Herbal Blend Body Butter is pure natural organic body butter and I apply on my hand and leg after a bath. It takes time to blend on the skin as it has a heavy creamy consistency. 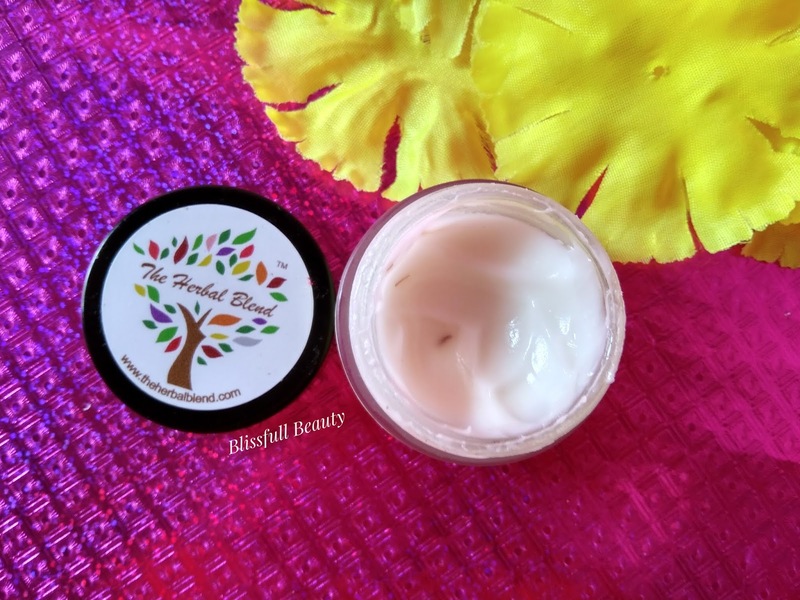 Instantly moisturizes the skin and gives soft smooth skin. 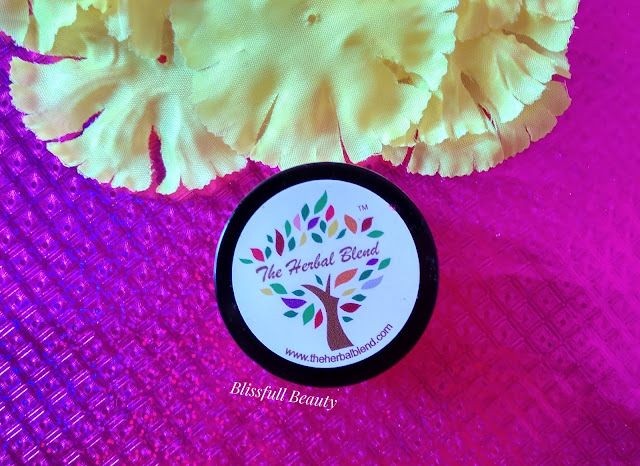 The Herbal Blend Body Butter enriched with many good ingredient and saffron which improves skin texture. But I feel it was quite expensive. Otherwise, it is good body butter.